I love Thai food, it’s my absolute favourite, alongside a bit of Japanese & Malaysian but to be fair it’s the curries I’m in love with. There’s just something so light & fresh about Thai food rather than it being heavy & bloating. 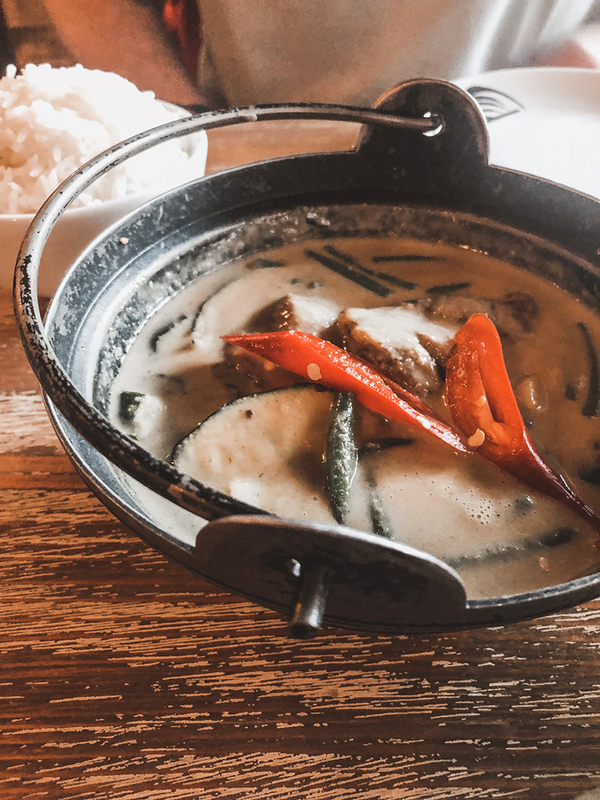 I’ve got to say I’ve always been about the meat in my Thai dishes, chicken Pad Thai or beef Massaman curry I’ve never really thought about the vegetarian or vegan options. 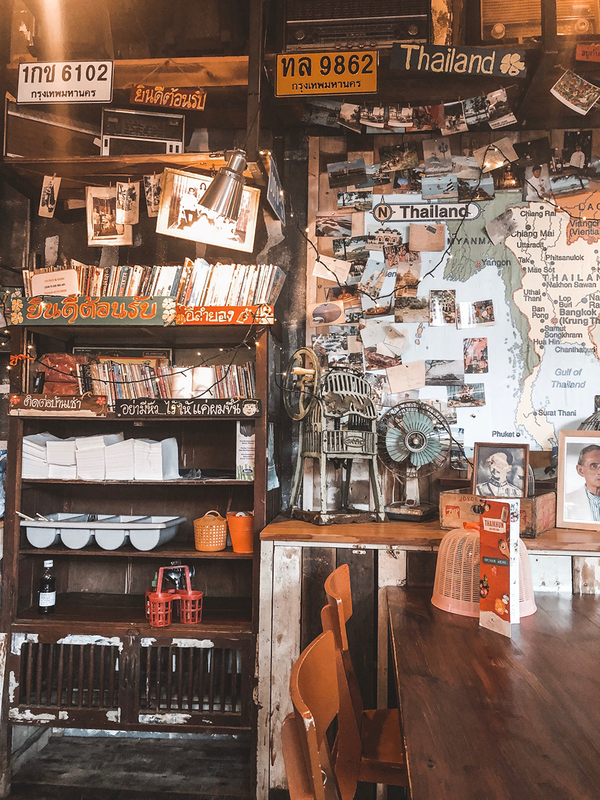 I was so surprised at how many vegan & vegetarian options there are at Thaikhun Manchester, with 24 options on the menu & in all areas such as starters, noodle & rice dishes plus the curries too. 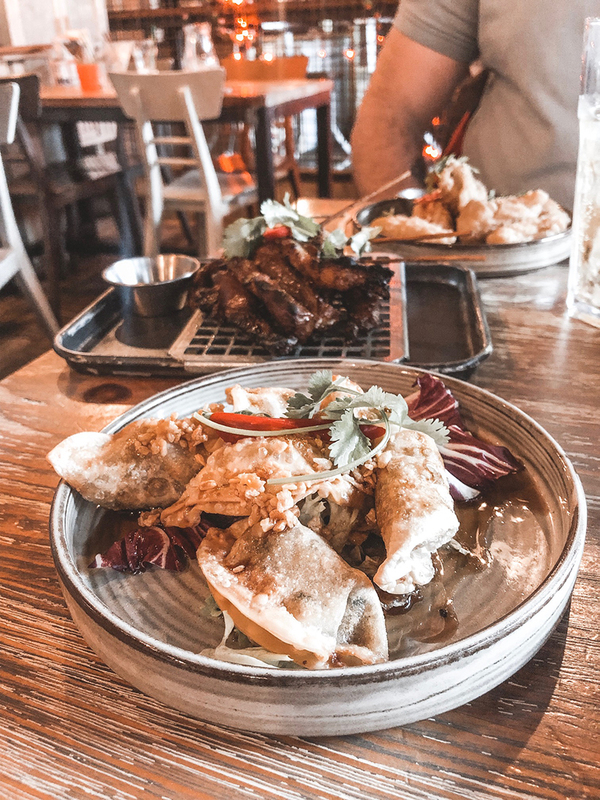 The dumplings are one of my favourite dishes at Thaikhun & we usually go for the meat option without even thinking about so with it being Veganuary I thought we’d try the vegan option with tofu. I’ve never had tofu before so didn’t really know what to expect & the hubby was totally apprehensive however he was surprisingly impressed. He couldn’t tell the difference between the regular dumplings & these & to be fair, neither could I. They were just as delicious as the meat option, there was no downgrade to the taste whatsoever which I’ve always expected. I guess I always assumed there would be less flavour in the vegan or vegetarian options. 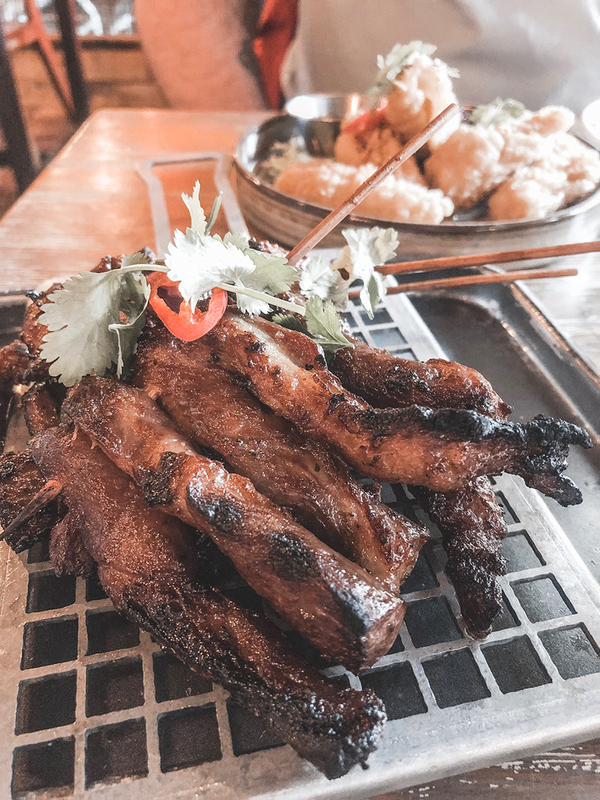 Along with the vegan dumplings we went for two other meat options, the pork skewers & chilli squid. The hubby didn’t want to go totally meat free & the squid is another of our mutual favourites as it is amazing, the batter is so light & crisp with no chewiness to the squid at all, again the taste was just so fresh. However after the success of the vegan dumplings he said in future he’d be a lot more willing to go meat free! For the mains it was the vegan Pad Thai for me instead of my usual chicken & once again the flavour was just outstanding. It was just as tasty as the chicken version although the portion was huge, far too much for me especially after sharing some starters but there was no way the hubby was going to leave it. Instead he asked for it to be boxed up at the end of our meal & took it home to finish off later! The hubby decided he was going to stick with his meat option for his main & went for pork Thai Green Curry & was very impressed, he’d had the curry before but never gone for the pork option. The meat was so tender it just fell apart, there was no rice or curry being boxed up, every last bit was eaten there & then. We had such an amazing lunch, we both enjoyed it so much & honestly did not realise how many options there would be for vegans or vegetarians. If you’re trying out Veganuary for the first time then this is a great place to start as you can have all your favourites as a vegan option. 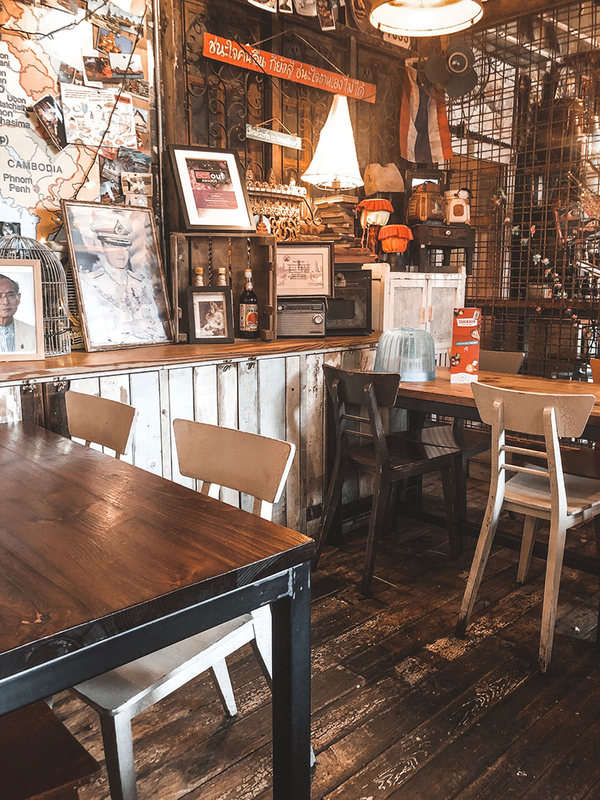 Alternatively if you’re already vegan & have never tried out Thaikhun then you are seriously missing out, get yourself down there!